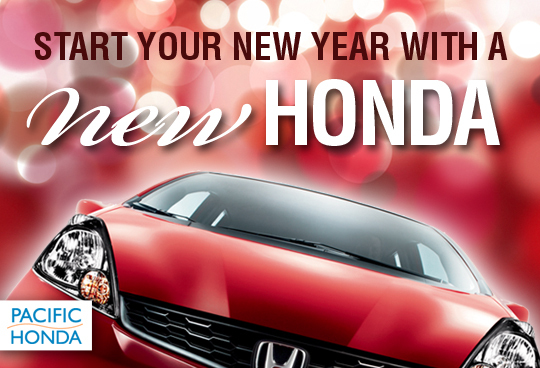 Happy New Year from Pacific Honda! 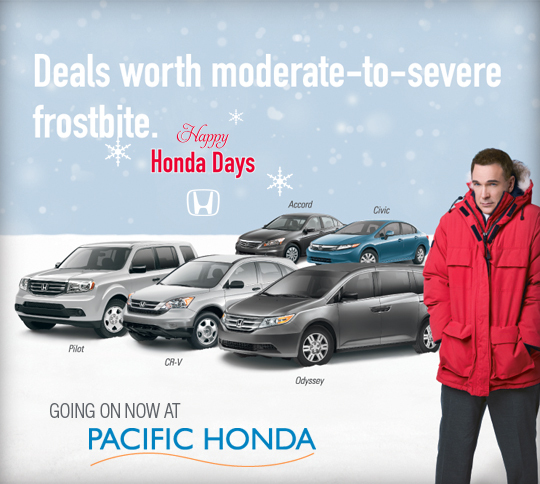 Pacific Honda wants to wish you all a VERY happy, safe, fantastic New Year! 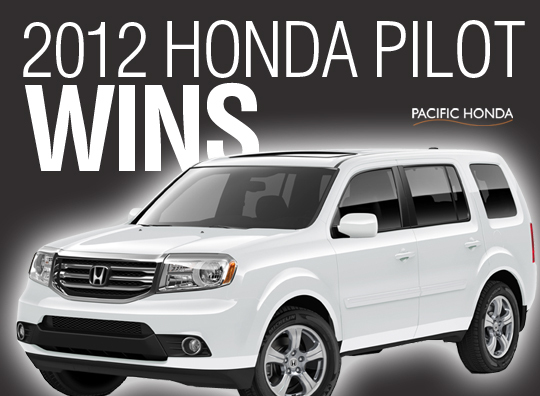 2012 Pilot Wins 3-Row SUV Shootout! 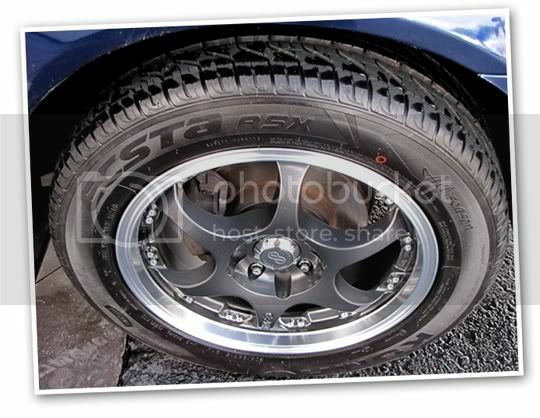 Cars.com, USA Today & MotorWeek put 7 3-Row SUV's to the test and the 2012 Pilot was the big winner! 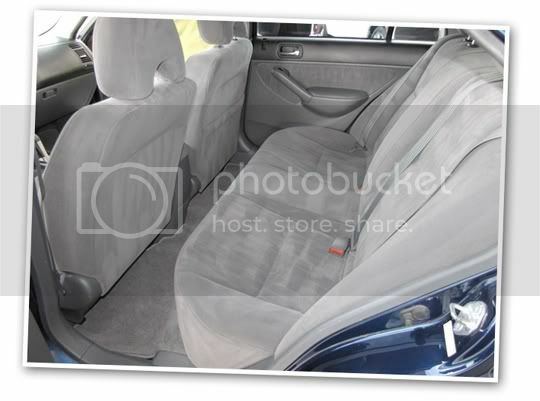 The 7 contenders were the 2012 Chevrolet Traverse, Dodge Durango, Ford Explorer, Honda Pilot, Kia Sorento, 2011 Mazda CX-9 and Toyota Highlander. 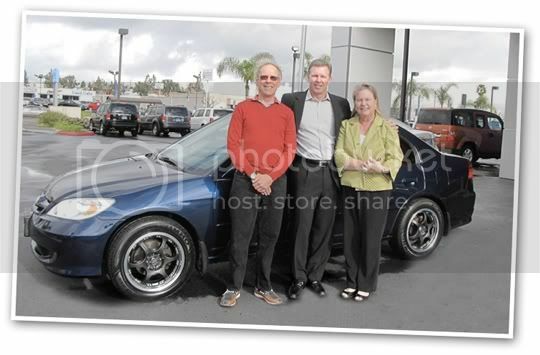 They were tested to see which could please their experts and family with its combination of driving quality, featuers and family-friendliness. 2012 Honda CR-V Has Arrived! 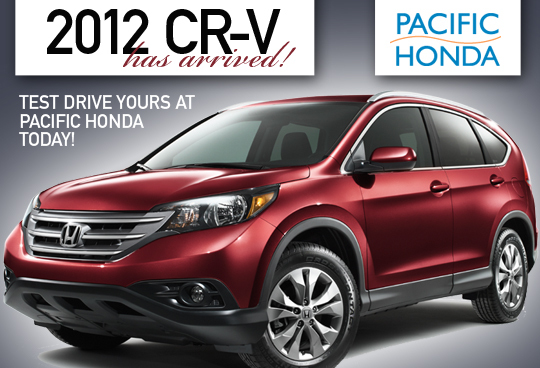 The redesigned, highly anticipated 2012 Honda CR-V has arrived at Pacific Honda and she's a beauty! You've GOT to see the CR-V in person. 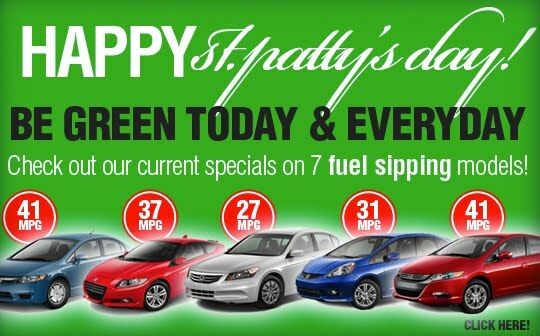 Stop on in and test drive one today. 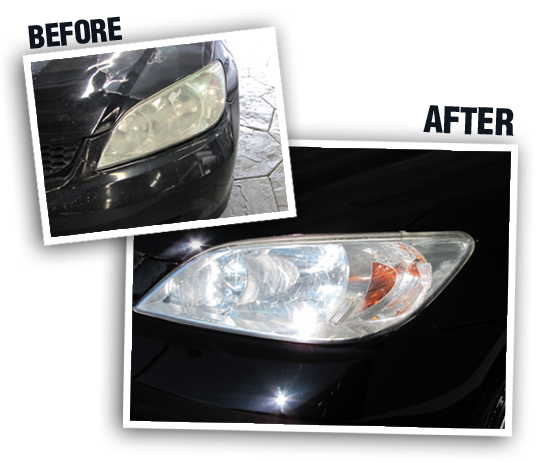 Or even better during our BEFORE & AFTER SALES EVENT, which will be taking place this Saturday and Monday. See you there! 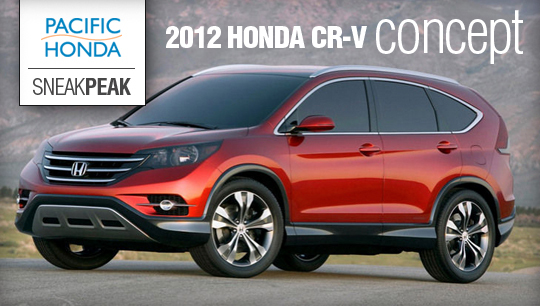 See our inventory of 2012 CR-Vs here. American Honda Motor Co., Inc. announced today that the 2013 Honda Accord Coupe Concept vehicle is set to make its world debut at te 2012 North American International Auto Show in Detroit, MI on January 10th. John Mendel, American Honda executive vice president of sales, will introduce the concept vehicle at a press conference, which will also be broadcast live via webcast at http://hondanews.com/live/2012naias-honda. The link won't be live until January 10th. We're all excited to see this vehicle. 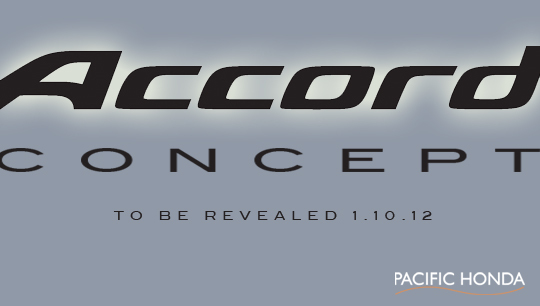 Any updates or news on the 2013 Accord Coupe will be posted here! 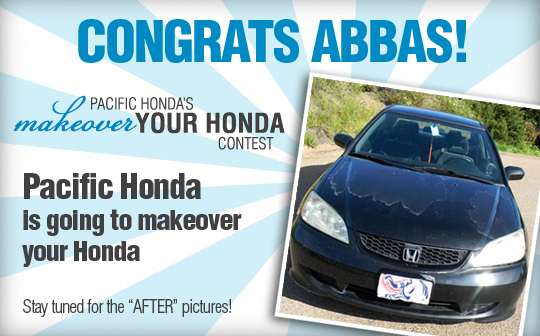 Fit & Accord named BEST CARS! 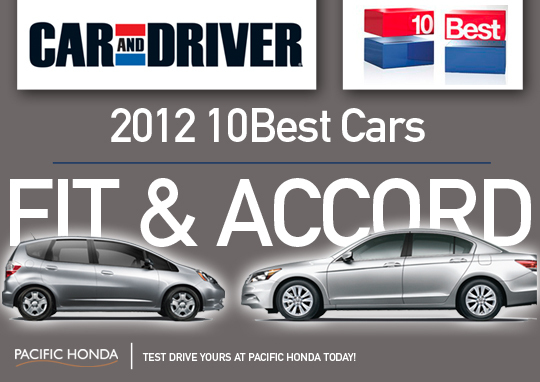 Car and Drive just released their 2012 10Best Cars list which included the Honda Fit & Accord. No surprise! Full article here. 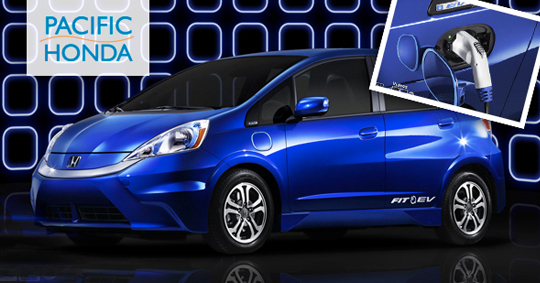 They call the Fit, "Small outside, but bursting with genius inside." And we agree. Read more about what they have to say about the Fit here. 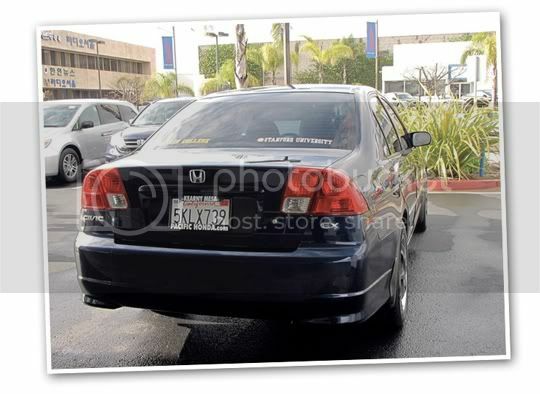 They call the Accord, "Old-School Honda Goodness". Ain't that the truth! 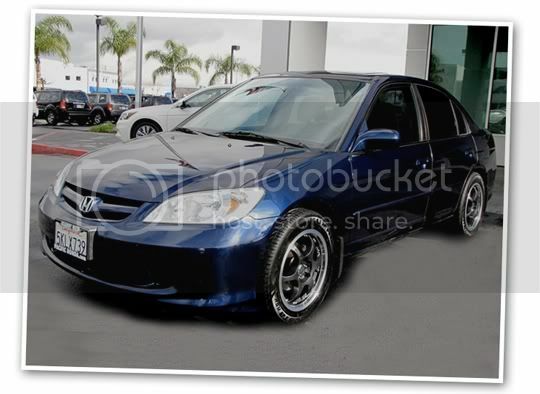 Read more about the Accord here. 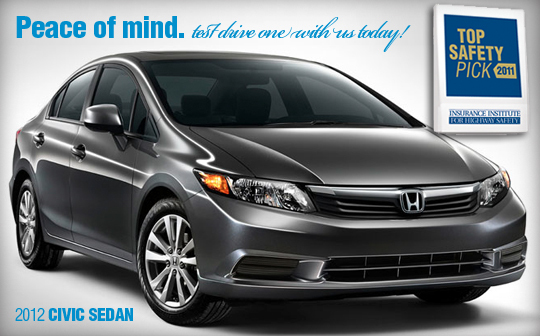 Test drive one of these top performers with us today! 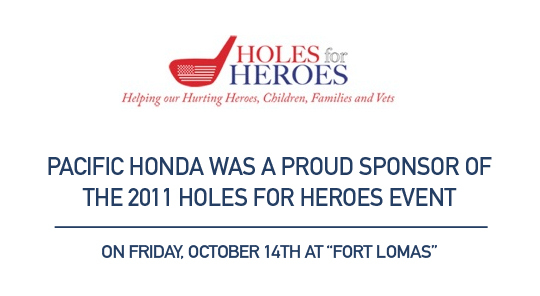 Pacific Honda was a PROUD sponsor of the 2011 Holes for Heroes event that took place on October 14th, 2011 at Fort Lomas in Solana Beach. It was the 5th anniversary of this incredible fundraiser, which enjoyed the largest number of players ever and raised more money than ever. A huge success to be very proud of! supporting Humanitarian Projects via The San Diego Downtown Breakfast Club Foundation. We utilize the Rotary Club Foundation platform because it is trusted, 100% all-volunteers, no paid staff, no fixed overhead ensuring that 100% of the proceeds go to the beneficiary charities. 75% of the net proceeds raised go to our Military serving partners to support military personnel and families in our region. The remaining 25% goes towards Humanitarian project via the San Diego Downtown Breakfast Rotary Foundation. To date, Holes for Heroes has raised over $275,000 netting over $200,000! We look forward to next year's event and hope you all will show your support as well! For more information on Holes for Heroes, click here. 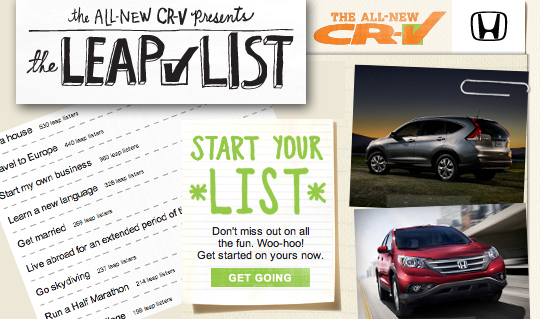 The All New CR-V presents the Leap List! Don't miss out on all of the fun. 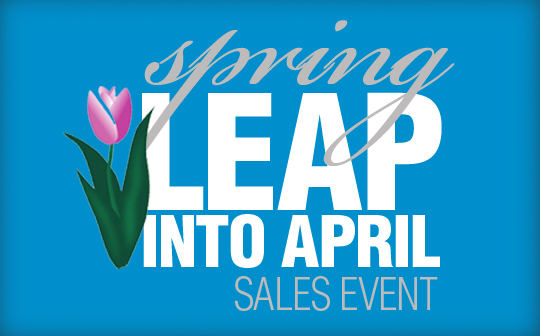 Have you started your Leap List yet? 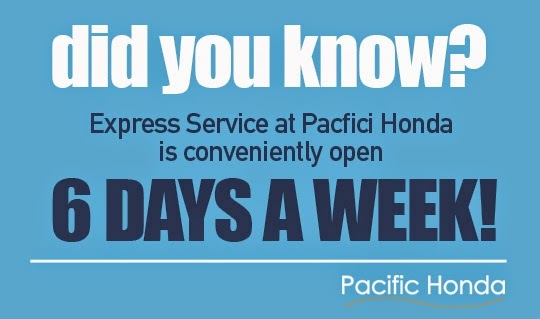 Express Service at Pacific Honda - OPEN 6 DAYS A WEEK! 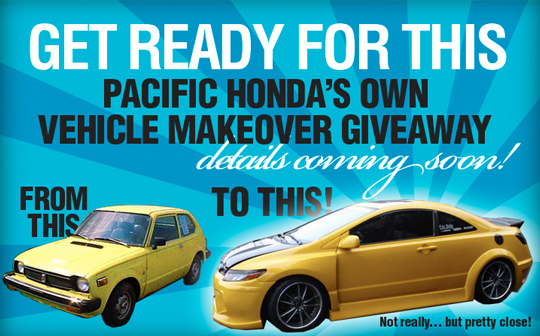 If you don't know already... Pacific Honda's Express Service Department is open 6 DAYS A WEEK! 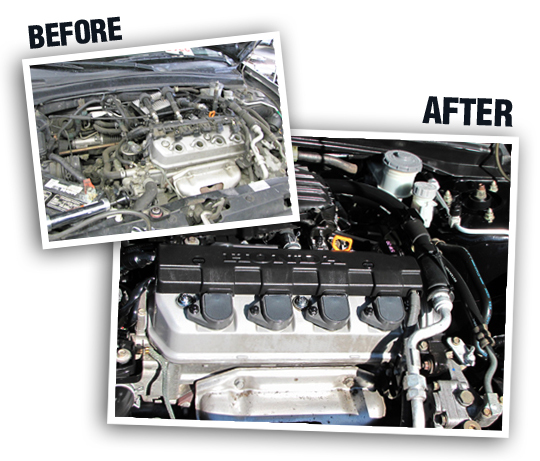 We're excited to provide our customers with the largest Honda Service facility and Express Lube operation in San Diego. 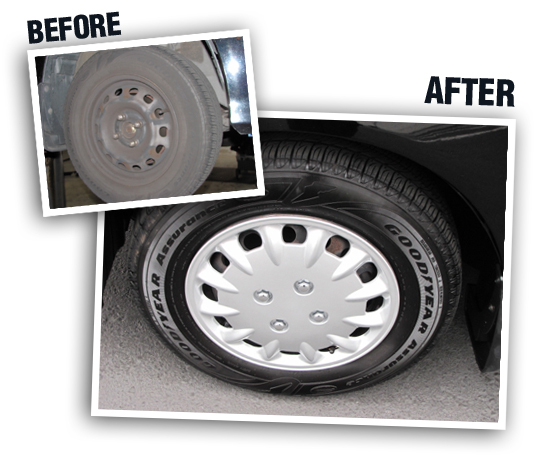 And we've created a more enjoyable and convenient experience by opening our Express Service Department 6 days a week and you don't even need an appointment! 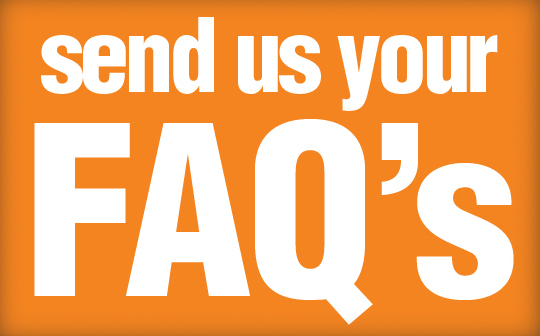 For any other appointment needed in our Service Department, you can make your appointment online here. 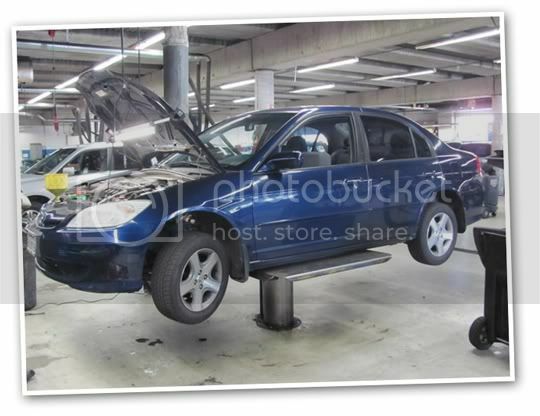 2012 CIVIC SEDAN - Top Safety Pick for 2011! 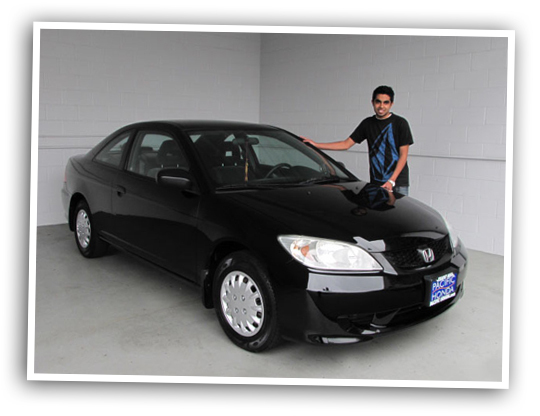 Did you know that The Insurance Institute for Highway Safety (IIHS) has named the 2012 Civic Sedan a "2011 Top Safety Pick," based on more stringent standards implemented in 2010? 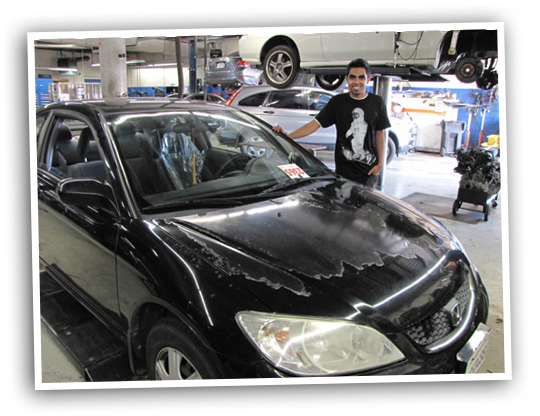 The Civic Sedan received top ratings in each category including frontal offset, side impact and rear impact crash safety tests and the new roof-strength test. Now there's some peace of mind. 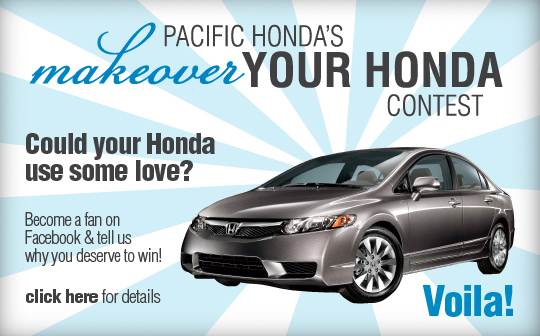 Test drive one at Pacific Honda today! 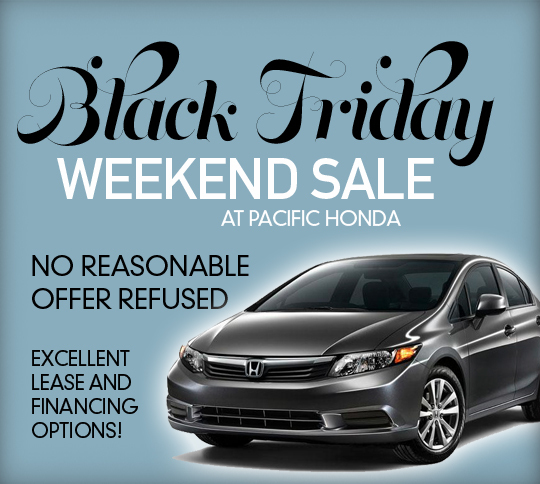 FREE Services at Pacific Honda! 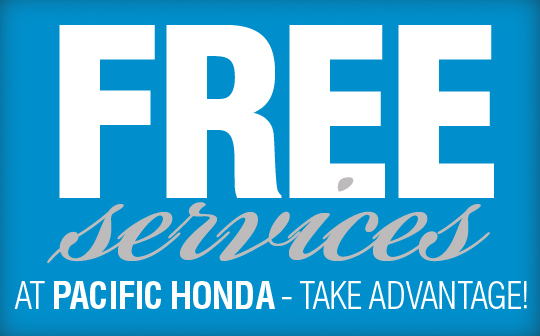 Did you know that Pacific Honda's Service Department offers all kinds of FREE, that's right, completely FREE services to keep your Honda running in tip top shape? Visit our website HERE to print out your coupon and take advantage today!